I learned how to keep score in 1989 or 1990, but so far this is the oldest scorecard in my hand that I’ve rediscovered. On May 1st, 1993, the Atlanta Braves hosted the St. Louis Cardinals for the Saturday Game of the Week. I probably decided to watch for the chance to see ex-Met Gregg Jefferies, and if that’s the case it worked out well. 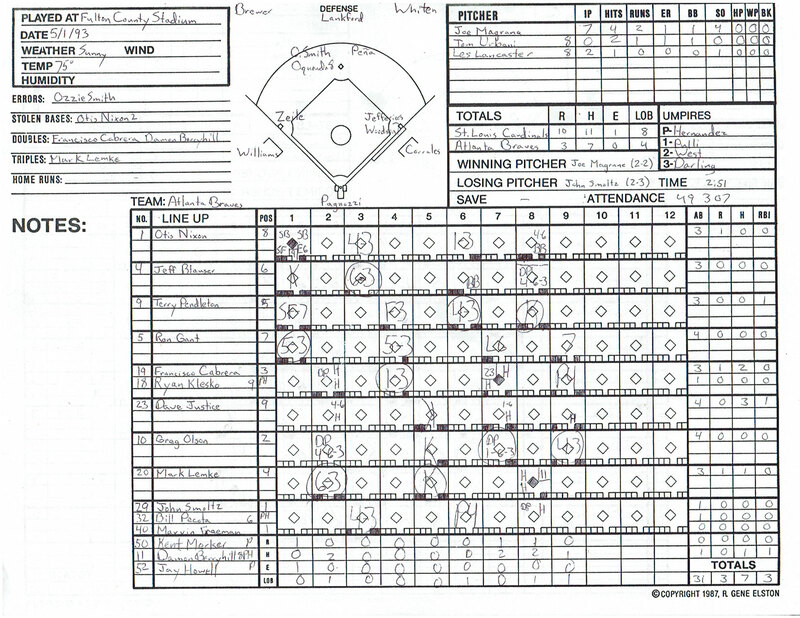 Jefferies went two-for-three, including a fourth inning home run off of John Smoltz. 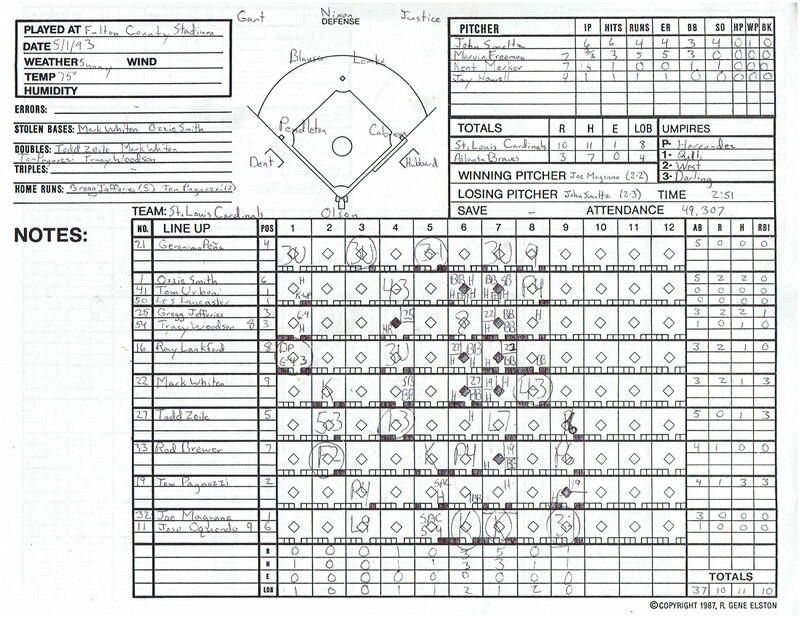 Hmmmm…I’ve never seen a scorecard with the balls and strikes. I don’t recommend trying to keep track of every pitch if you’re just keeping score for your own amusement. It really limits your ability to hold a conversation with whoever you might be watching the game with. Wow, that’s a lot more detail than I used to keep track of. I was never very good at doing this because I’d always allow myself to get distracted by what was going on around me. Don’t think I’ve kept score in about 20 years now. Still, fun to look at those old scorecards. I’m terrible at keeping score, going to see Cubs/Red Sox. I might try with that game.